Dental Surgery Guru’s mission is to serve the immediate and general community with the highest level of care possible for families and individual patients. In dentistry specialties such as those in oral surgery, it is important to stay on top of changing technologies. Dr. Michaelis is a top oral surgeon in Newport Beach is committed to this goal. We are committed to and participate in extensive continuing education of the doctors and staff . Our family practice strives to deliver safe, efficient, and compassionate oral surgical care. Dr. Michaelis believes by doing this, it will improve the quality of life for our patients. People often ask Dr. Michaelis how he decided to become an Oral & Maxillofacial Surgeon. The answer, he says, is that there was never a defining moment in his life where he chose surgery as a career. Instead, it was a slow evolution over many years that led to his career choice. Growing up in Santa Cruz, CA he was very active in sports and several outdoor activities. He participated in baseball, water polo, soccer, surfing, skiing and the swim team. As it turns out, many of his friend’s parents were dentists. Being around these families for so long may have influenced his decision to enter dental school. 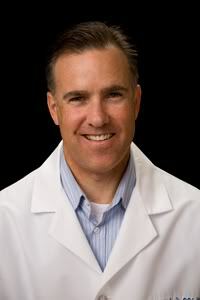 Dr. Michaelis graduated from UCSD with a degree in Biochemistry and Cell Biology. He was on the UCSD Ski Team where he went to Mammoth Mountain every other weekend throughout the winter to race slalom and giant slalom. After spending a ski season in Breckenridge, CO, he entered UCLA School of Dentistry where he graduated at the top of his class in 1995. He was the only 3rd year dental student at UCLA to be elected into the prestigious Omicron Kappa Upsilon Honorary Dental Society. After graduating with several awards and honors he then entered the dual-degree Oral & Maxillofacial Surgery training program at UCLA. During his residency he graduated from UCLA School of Medicine and completed a year of general surgery at UCLA Medical Center. 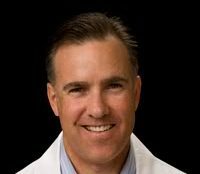 He completed his Oral & Maxillofacial Surgery training in 2001 and has been in private practice in Newport Beach since then. Dr. Michaelis practices the full scope of Oral & Maxillofacial Surgery including the treatment of facial trauma, jaw pathology, reconstructive jaw surgery, TMJ surgery, and office procedures such as wisdom tooth removal and dental implant placement. He has served as the Chairman of the Department of Oral & Maxillofacial Surgery/Dentistry at Hoag Hospital in Newport Beach. Dr. Michaelis’ true passion in life however, is his family. He enjoys spending as much time as possible with his wife Kristina and their 3 children, Alex, Mikaela, and Brianna. He is involved with all his children’s school and extracurricular activities. They enjoy taking family trips together each year. They are always looking for the next adventure to share together.